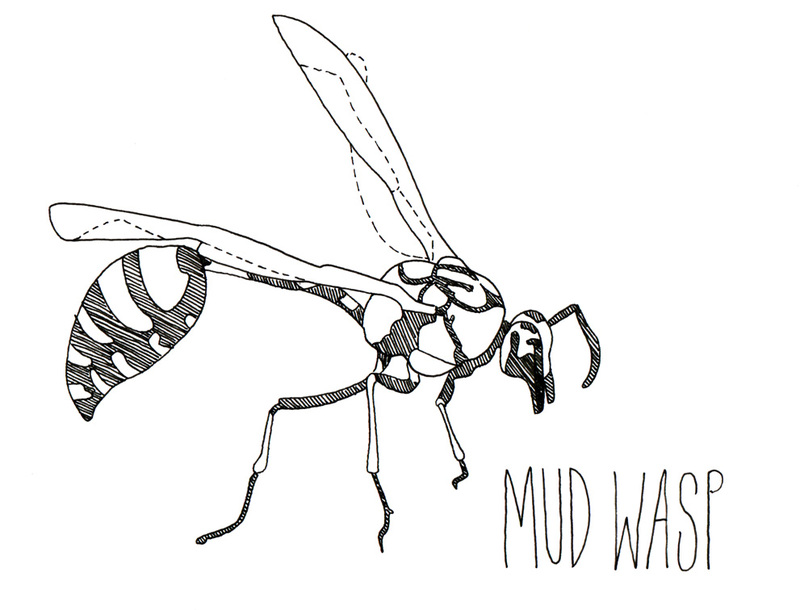 a sri lankan muddy potter wasp to be exact. very exact. well, i'm off to the eyre peninsula tomorrow, but i have pre-drawn the next eight animals and i will pre-post them tonight. be sure to still check them out! it is going to seem like such a luxury when i get back and only have one animal a day to draw again.